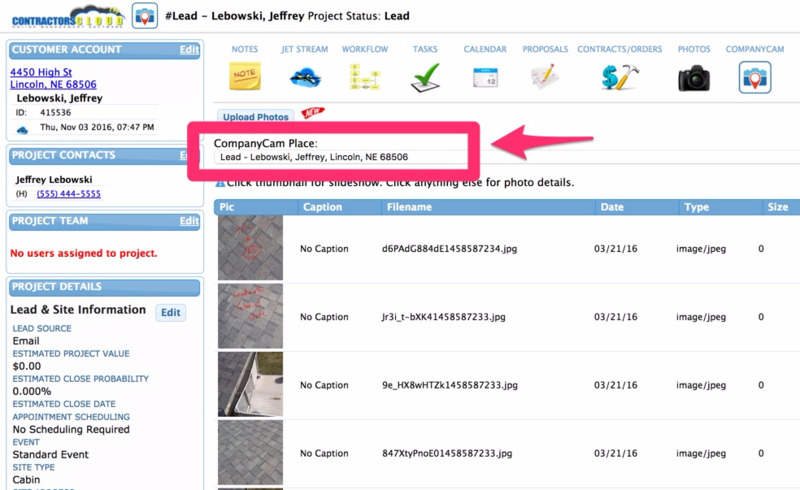 Connect your leads in Contractor's Cloud with Projects in CompanyCam. 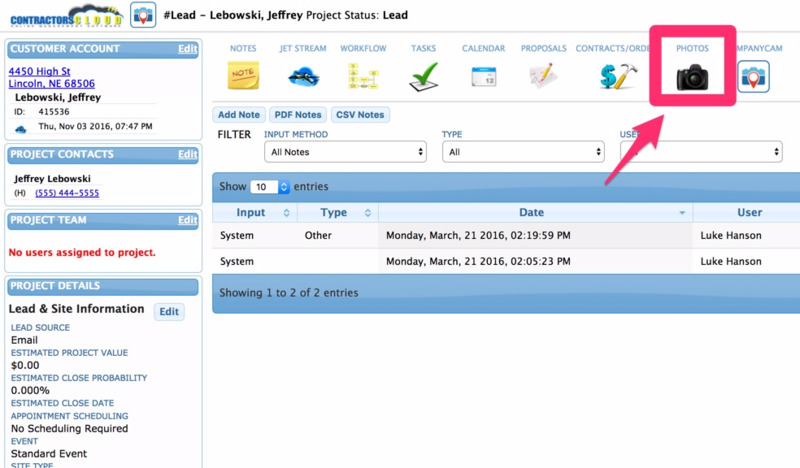 *IMPORTANT* Always enter your client's information into Contractor's Cloud first— this creates a connected Project in CompanyCam. What if I need to move photos around in CompanyCam? If you have CompanyCam photos associated with the wrong CompanyCam Project, you can move those photos around in CompanyCam. Click Here For Complete Instructions. What if I need to reconnect CompanyCam photos with the correct Lead in Contractor's Cloud? Log in to your Contractor's Cloud account and choose the correct Lead. Click on Photos icon (see image below). Use the drop-down menu, and select the project from your CompanyCam list (see image below).